How to Troubleshoot a Hot Water Heater. Water heater problems are usually self explanatory when they arrive: A hot water faucet fails to provide hot water when needed, you notice a puddle or a drip near the water heater, or the tank makes strange gurgling or popping sounds. Though many gas utility companies will make a free house call to solve problems with a gas water heater’s burner or the gas supply to the tank, you’re on your own when it comes to other water heater problems. It helps to know how to solve basic outages yourself, as discussed below. 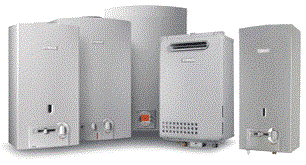 For more difficult issues, contact a qualified local water heater repair person. Typical water heater problems include a leaking tank, not enough hot water, water that is too hot or not hot enough, strange noises in the tank, and discolored or smelly water. Most of these kinds of problems are relatively easy to diagnose and handle if you understand how water heaters work. Two of the most common problems with hot water heaters are that they produce water that is either not hot enough or too hot. The quickest and most obvious first step is to adjust the temperature dial on the front of the water heater, wait a little while, then check the water temperature at a faucet. But if adjusting the temperature dial doesn’t do the trick. These sounds are caused by the buildup of hard water sediment heating up and exploding inside the tank. You can flush out the tank yourself, although by the time you’re hearing this sound the sediment chunks may be too large to pass through the drain valve. An undersized water heater is usually the culprit if it seems like you never have enough hot water in your home. If the problem is chronic—or if you’ve increased your needs for hot water by installing a big new soaking tub or high-flow shower head—you’ll probably need to get a new, larger water heater. 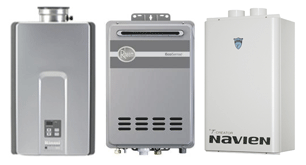 Be sure to look into tankless water heaters because, with this type, you never run out of hot water. On the other hand, if you’ve had enough hot water in the recent past but your water heater suddenly seems to supply less hot water, first check the dial on the water heater. Clearly, the first thing to do if your hot water is too hot is turn down the temperature on the water heater’s thermostat dial. Note the present setting (or mark it with a felt-tip pen), and then turn it toward a cooler setting, wait a couple of hours, and see if the problem is solved. The job of the temperature-pressure (TP) relief valve is to release excessive pressure from steam buildup, but this valve may have been improperly installed, or it may be faulty. Either way, this condition can be dangerous, both because hot water and steam can scald people and because the water heater could rupture. If your water has a strange odor, first determine whether the problem is with the source water or the water heater. If the problem is with both the hot and the cold water, or if only the cold water smells, the problem is more likely with your source water. Iron, copper, and other minerals can cause discoloration in water. To solve these kinds of issues, consider installing a whole house water filter and/or a water softener.